The Rotorua Geothermal System underlies part of Rotorua City, from the southwestern end of Lake Rotorua to the Whakarewarewa Valley (see map below). It is part of the Taupō Volcanic Zone, which extends from Whakaari-White Island in the Bay of Plenty, southwest to Mt Ruapehu. Fluid within the system can be in excess of 230°C, with high levels of existing use and many surface features. The hundreds of surface features in Rotorua have important economic, ecological, landscape and cultural values. They are considered national treasures and part of our heritage. Rotorua's array of geothermal features, including volcanic crater lakes, spouting geysers, bubbling mud pools, hissing fumaroles and colourful sinter terraces, have been attracting visitors to the city since the mid-1800s. They remain a major tourist attraction today and are the most popular sight-seeing destination for international visitors. Houses in a geothermal area in Rotorua. Whakarewarewa Pohutu Geyser. Credit: GNS Science. Whakarewarewa cooking by a hot pool in Rotorua. 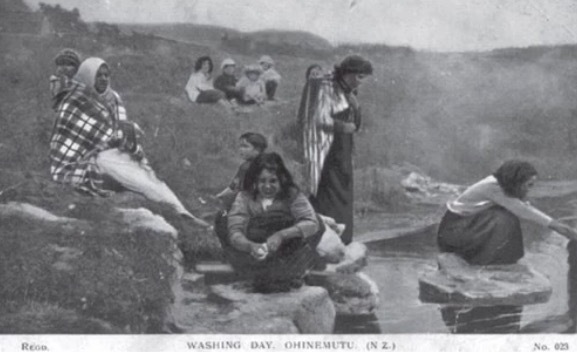 Ohinemutu washing day by a hot pool in Rotorua. The Rotorua system is unique in a number of ways. It contains one of New Zealand’s last remaining areas of major geyser activity. It is also internationally recognised for scientific research and has provided the basis for the evolution of many geothermal models and geological theories. There are several other geothermal areas close to the city, such as Tikitere and Waimangu, but these systems have different characteristics and are managed separately. 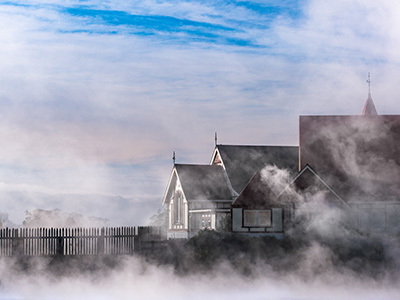 Rotorua’s geothermal surface features are one of the greatest draw-cards for international tourists, with nearly half of all visitors coming specifically to see and experience the district’s geothermal wonders. Over time it has become clear that the Rotorua geothermal system cannot meet unlimited demand for heat energy, with previous excessive use of fluid having adverse effects, particularly on the geothermal surface features and the long-term energy potential of the reservoir. Ongoing careful allocation of the resource is important. Animation of the Rotorua geothermal system. The Ngā Whakaaetanga-ā-Ture ki Te Taiao ā Toi (Statutory Acknowledgements in the Bay of Plenty) is a compendium document to be read as an attachment to and in conjunction with the Operative Rotorua Geothermal Regional Plan including proposed regional plan or policy statement, and any variation or change notified by the Bay of Plenty Regional Council. 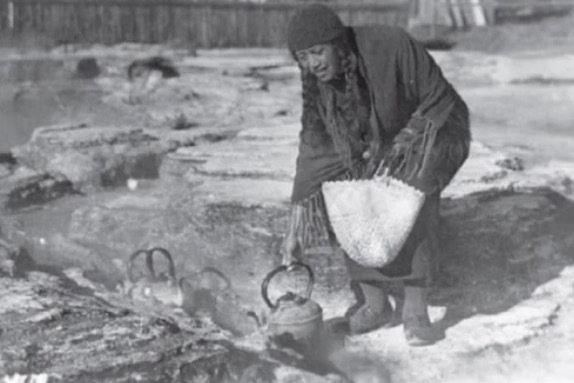 Rotorua’s geothermal surface features have been used in a low impact way by Māori for hundreds of years, for practical as well as spiritual purposes. Extractive use of the system began in the 1870s when Rotorua became a tourist destination, influencing settlement patterns. Demand for commercial and residential use increased further in the 1930s and following energy shortages in the early 1950s extraction of geothermal heat and fluid for private use became commonplace. By the 1970s more than 1,000 bores had been drilled with depths of 50 to 200 metres below the surface. As a result many geothermal features and activity in Whakarewarewa Valley, Kuirau Park and Arikikapakapa began to decline significantly. In the mid-late 1980s Government stepped in, forcing the compulsory closure of many wells, including all wells within 1.5 kilometres of the Pohutu Geyser, and imposing consent requirements. Subsequently, geothermal features have recovered and the system has stabilised, with fewer natural events such as hydrothermal eruptions. Some of the significant geothermal features within and around Rotorua urban area – most notably in Kuirau Park – are the same today as they were in the 1920s. While much of this recovery was rapid, some has taken longer. For example, the Papakura Geyser in Whakarewarewa valley began erupting in September 2015 after being dormant for over 30 years. Geothermal resources have been an integral part of Māori culture for hundreds of years, with the Bay of Plenty’s Te Arawa people regarding them as a taonga (treasure). Te Arawa have for generations regarded the geothermal resource as a gift from the Atua, and call it waiariki, water of the gods. For Te Arawa, waiariki gives them physical and spiritual comfort; it is interwoven into their culture and traditions and is a major component of their tribal identity. Te Arawa kaitiaki require that any activity that would adversely affect the mauri of their waiariki must be avoided or controlled. The resource remains integral to Māori culture today, particularly in Rotorua, which has one of the largest and most active geothermal fields in the world. 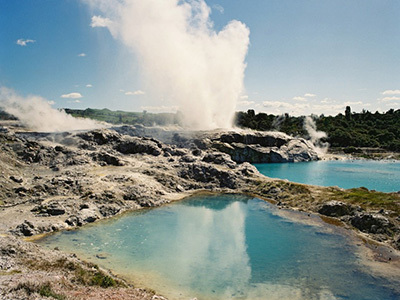 Examples of its rich heritage include the communities of Whakarewarewa Valley geothermal field – the most visited tourist attraction in New Zealand – and Ōhinemutu, and the more recent Victorian setting of Government Gardens, the Bathhouse (now the Rotorua Museum) and the Blue Baths.